UCCFS: French Fries vs Green Bean Casserole Round 1 – I Love It Spicy! Another number 1 seed, French Fries goes up against long shot 16 seed, Green Bean Casserole. When you think of french fries, what do you think of? Krinkle cut? Steak Fries? Shoestring? Perhaps with cheese, chili, garlic or maybe gravy? 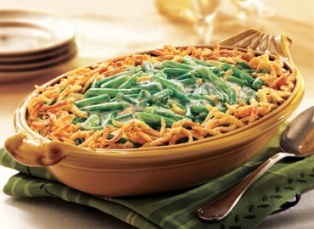 How about green bean casserole? Was it a holiday favorite? Did Mom put her own spin on the traditional fare? Fries vs Green Beans, two veggie classics going toe to toe. Which one will you pick? Voting will end in 48 hours for each poll. 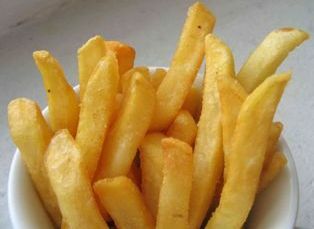 I do love steak fries, but my favorite over all have been the crinkle cut thick ones at Nathan’s. New York Comfort food- a Nathan’s dog with that spicy brown mustard and fries with ketchup, not much fast food can top that outside a slice of pizza. Thanks Mike. I have this Cajun place by me that makes an outstanding Crawfish Mac ‘n Cheese, so I know what you are talking about. Thanks for the idea..I’m going to make that crawfish mac and cheese! Fries on pizza dipped in a Fondue….